Keeps your confidential information safe and secured. Prevents wandering eyes from viewing your screen. Guaranteed Non-sticky and Free from markings. Maintains your devices' smooth and unique touchscreen sensitivity, crisp view and clarity. Very easy to apply and flawlessly fits well on your devices' screens. Can be easily removed by simply pulling off. 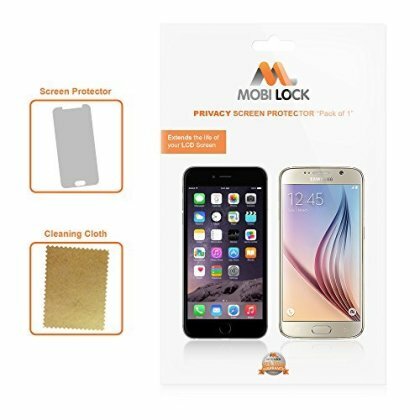 Advantages of Privacy Screen Protectors: Good for people who don't want other people to see their screen and keeps their device from prying eyes. Disadvantages of Privacy Screen Protectors: Can darken the screen.